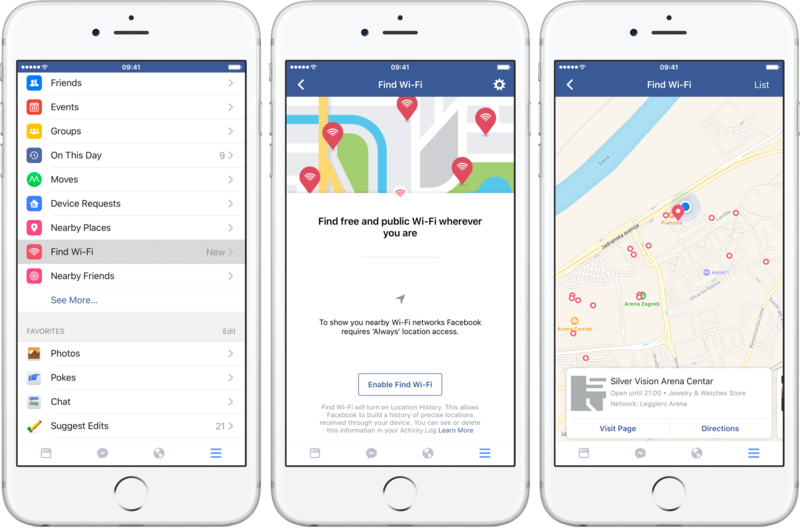 Facebook appears to be testing a new location-based feature that permits some users to identify free Wi-Fi hotspots through the social network’s mobile application for the iPhone and iPad. 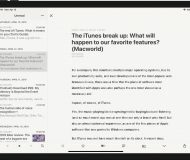 As reported by The Next Web, some users, myself included, are now seeing a Find Wi-Fi option in the app’s side menu, between the Nearby Places and Nearby Friends options. Tapping it puts up a prompt asking to grant Facebook access to your location so it can find public Wi-Fi hotspots around you. Like Facebook’s existing Nearby Friends feature, the new Find Wi-Fi option requires that location access for the mobile app be set to “Always” in Settings → Privacy → Location Services → Facebook rather than “While Using the App”. As you can see on the screenshots, any free Wi-Fi spots in your vicinity get marked on a map. You can tap a location to pull up more details, including buttons to visit a place’s official Facebook page or get directions. Facebook recently asked Pages to list Wi-Fi locations at their physical addresses. 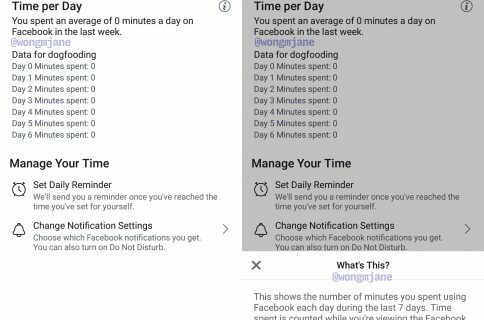 Allowing Facebook to always track your location also turns on your Location History, which lets it “build a history of precise locations received through your device.” With location access set to “Always,” the app informs a user via a banner at the top of the News Feed of any nearby free Wi-Fi hotspots, even if Find Wi-Fi is off. 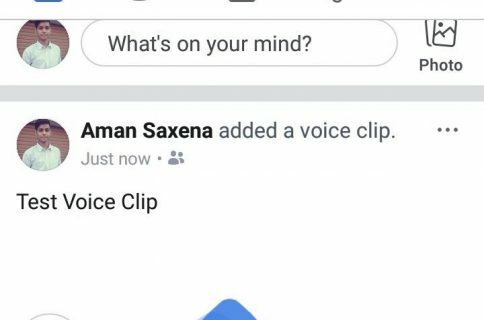 Facebook has earned notoriety in the past for excessive battery drain when the location-tracking feature is on, and has even been found to use undocumented tricks to keep the app active by playing audio silently in the background.